The World Wide Web has billion of websites. Some of them are small (for example, most of the personal blogs), some of them are big (for example, eBay), and some of them are too big (for example, Facebook). But some of them are just very important, because they really changed the world over the last years and gave way to a number of Internet-enabled revolutions. What are these websites and how did they influence the world? 1. info.cern.ch: This is where it all began. In 1990, not many years ago if you think about it, a revolution took place in CERN and the first website on the World Wide Web was made by Sir Tim Burns Lee and browsed by Robert Cailliau. 2. Google: Some people confuse it with the Internet itself. Some people even type Google inside Google’s search box! It is considered to be the main entrance of the Internet and changed the way we search for information. It started as a search engine, but these days it’s everywhere, with various Internet-related products. 3. eBay: The website that made all of us all sellers and buyers. The website where you can find literally everything you are looking for. The website that changed shopping as we know it. If you weren’t scammed by an eBay seller then you cannot consider yourself a serious Internet user! 4. Yahoo! 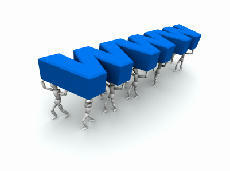 : One of the first really big websites and early-rising popular search engines. Lately, it has lost some popularity, but it still remains one of the largest website companies in the world. 5. Amazon: Nowadays, when someone says “Amazon”, people think of the online shop and not theAmazon river. It started as a bookshop, but Amazon has since launched different products in various categories, offering the most competitive prices on the Internet. 6. Facebook: Facebook is certainly the king of social media websites. With 800 million users, nobody can deny its influence in the world. 7. Geocities: On of the biggest websites that passed away. Before that, however, Geocities represented one of the few ways to make your own personal website easily, and for free. 8. Wikipedia: Many consider Wikipedia to be the greatest source of information in the world. Nowadays the heavy encyclopedias just gather dust in our libraries and Wikipedia seems to pop in all search queries we do in Google. And the most amazing thing is that all the knowledge is gathered from volunteers. 9. Hotmail: It was the first web-based E-mail client on the Internet, and had been extremely popular until Microsoft bought it and it lost some of its popular appeal. 10. Youtube: The website that can make anyone a star! All you need is to upload your silly video online and wait for the clicks and views. These are the ten websites that changed our world in our opinion. Maybe some day a new website will influence the world in a better (or in a worse) way. About the author: Chrys Zampas works for his Cyprus SEO agency and is a regular blogger at Cyprus blog. Actually I don’t remember that. However I do remember loosing some money from a scammer. So I consider myself an experienced Ebay user! And even killed other social media website like myspace. Except probably for the first one (which is totally alien to me, by the way), I can’t say I don’t agree with the list. These websites indeed are (or “were” for some) made history in the World Wide Web. Well now you can answer the question “which was the first website in WWW” ! These websites are the most useful and popluar sites. I also used these sites because I find them full of fascinating information. I hope the next interesting social media site that will be introduced will have more advantages rather than disadvantages.